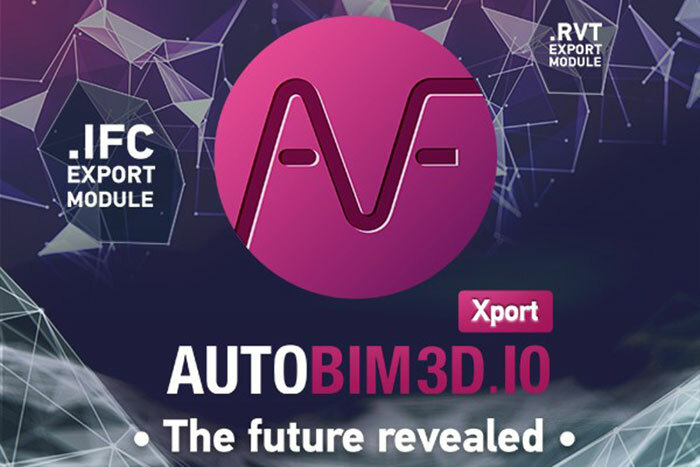 Tracéocad has developed the AUTOBIM3D Xport solution in order to meet the needs for enriched 2D plans ready to use on construction worksites and of 3D plans for integration into 3D models. This solution saves time and helps you produce 2D plans that are well thought through. On the contrary, 2D plans which are generated automatically from 3D models must systematically be reworked. There's a reliable and efficient way for HVAC and fluid engineers to collaborate on 3D BIM projects. When designing fluid networks with AUTOBIM3D and the AUTOFLUID suite, they benefit from the precision of 2D tools for drafting, combined with the ability to transform their networks into 3D. Then, importing them into BIM models is a matter of minutes. Today AUTOBIM3D Xport is reaching a new level on the way to combining 2D and 3D drafting tools. Thanks to Tracéocad's powerful .IFC export module, AUTOFLUID networks are now fully editable in 3D with any modelling package. The .IFC file format provides another key benefit: all the information describing the networks components are encapsulated into the file. Therefore, you will never be missing a BIM object or a Revit Family when working on a project. The .IFC format generated by AUTOBIM3D Xport makes CAD packages compatible with Revit. It is already available for BricsCAD Platinum users, and will be ready for BricsCAD and AutoCAD (2016 version and later) users from October 2018. AUTOBIM3D Xport allows engineers to create native .RVT Revit files, to edit and share fluid networks without the need to be a skilled Revit user. Thanks to the compatibility between AUTOBIM3D Xport and Revit, fluid engineers will still be able to design networks efficiently and accurately in 2D with AUTOFLUID10 while easily integrating into BIM projects.